PAUL JAY, SENIOR EDITOR, TRNN: Welcome to The Real News Network. I’m Paul Jay in Washington. And in Washington late Sunday night, at an extraordinary news conference, President Obama announced the killing of Osama bin Laden. BARACK OBAMA, US PRESIDENT: Today, at my direction, the United States launched a targeted operation against that compound in Abbottabad, Pakistan. A small team of Americans carried out the operation with extraordinary courage and capability. No Americans were harmed. They took care to avoid civilian casualties. After a firefight, they killed Osama bin Laden and took custody of his body. JAY: Now joining us from Peshawar, Pakistan, is Rahimullah Yusufzai, whom Robert Fisk calls Pakistan’s most respected war correspondent. And he was one of the first journalists to interview Osama bin Laden. He now reports for The News International, where he is its resident editor, based in Peshawar, Pakistan. Thanks very much for joining us, Rahimullah. Now, tell us, what do you think is the significance of this event? 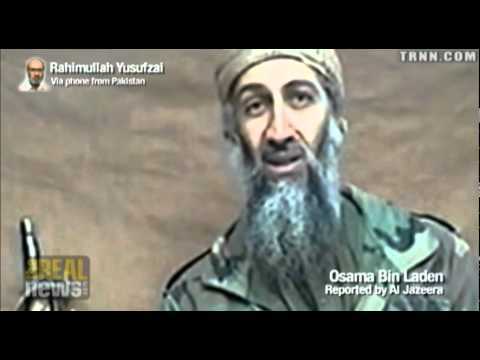 RAHIMULLAH YUSUFZAI, JOURNALIST, PESHAWAR BUREAU CHIEF, THE NEWS INTERNATIONAL: I think it’s very significant, because the US itself was saying they have lost track of Osama bin Laden. Robert Gates was saying that. The CIA chief, Leon Panetta, was saying that. So maybe, you know, they had this lead some months ago, but earlier they didn’t know where was he. And I think that it’s a big blow for al-Qaeda. And it’s also a big blow for their allies, because he was the founder of al-Qaeda. He was the rallying point, although I don’t think he was now running al-Qaeda on a day-to-day basis. Al-Qaeda’s strength has been diminished already, and al-Qaeda has splintered into these cells which are operating independently, I believe. So I don’t think that people who are already of the same views and ideology will give up. They won’t give up. They’re not being guided by Osama bin Laden right now. They were operating on their own, independently. So I think the fight will continue, and I think these people would fight until the end. JAY: So this makes bin Laden a martyr. Does he not actually gain in symbolic value for al-Qaeda now? YUSUFZAI: I think, yes, in that context I will agree. They will have now this shahid or martyr–they call him "shahid", and that is a high status in Islam. So his followers would say, okay, he died for the cause, he didn’t give up, he didn’t surrender, he wasn’t captured. So that, I think, is important in that sense for al-Qaeda and his followers. You know, this was a man who was very rich. He could have lived a life of luxury. But he gave all this up and he came here, he fought against the Soviet forces, and then he fought against the Americans. So I think that will be his legacy. And the al-Qaeda people and other followers of bin Laden, who may not have said it openly, but they actually [incompr.] So they would think that he gave his life for a great cause. JAY: And how do you think the broader sections of Pakistan and Afghan public opinion will react to this? YUSUFZAI: I think they would be, you know, maybe a sense of loss for many people who supported him among Taliban, among the jihadi elements. They would be, you know, actually shocked, and they would think that, you know, doesn’t happen, you know, because as President Obama was saying [incompr.] the intelligence, which was shared by the Pakistanis with the Americans. So I think there could be some kind of a backlash. Maybe al-Qaeda and Taliban and jihadis will attack Pakistani targets, Pakistani leaders. That is possible, because they will say that why does Pakistan provide leads or intelligence, why did–you know, why was this some kind of joint operation. That could happen. JAY: A lot of people have speculated that the ISI, or at least a section of the ISI, have been protecting Osama bin Laden over this time. He’s living in a mansion on a main road not far from a Pakistani military base. I mean, it’s hard not to believe that the Pakistan intelligence agencies wouldn’t have known he was there. YUSUFZAI: We don’t know, because we still are waiting for details how it happened, because it happened last night at one o’clock, and a helicopter was shot down as well. So we don’t know who shot down the helicopter and how was the compound hit and all that. But I think operating in that area [incompr.] 71 kilometers from Islamabad. And this actually is a military town. There is a heavy Pakistani army presence there. So I don’t think the Americans could have operated there independently. It must have been a joint operation. That’s why if the ISI has given the intelligence and the army has cooperated, it means that the Pakistanis and the Americans, the CIA, or the American intelligence were acting together. So there has been differences, there have been spats between the two, but I think, you know, they also have been cooperating. We have given more importance to the differences than to their joint operations and cooperations, because in the past, also, Pakistan has helped, assisted the Americans in capturing very important al-Qaeda people like Khalid Sheikh Mohammed, KSM. JAY: Does this represent some kind of a split in the ISI? If it’s true that at least a section of the ISI has been protecting bin Laden, as many people have suggested, is this a change of policy now to cooperate with the US to get him? YUSUFZAI: I don’t think there’s a split in the ISI. I don’t think–. Maybe the policy has changed or whatever. You know, I think it depends. You know, I think–against al-Qaeda, I don’t think there’s any difference of opinion between the ISI and the CIA. I think they’re on the same page. But concerning the Taliban, I think there’s a split. So, you know, Pakistanis have links, contacts with Taliban in Afghanistan, while the Americans want to defeat Taliban. That is a matter of difference. That is a contentious issue. But I think on al-Qaeda there is no difference. They have been going after al-Qaeda together. JAY: Do you think this will change anything on the ground in the Afghan war? YUSUFZAI: I don’t think so. Afghanistan is completely different. There is not much al-Qaeda [incompr.] The American officials have been saying there are less than 50 al-Qaeda agents in Afghanistan. Mr. Panetta, the CIA chief, was saying that. So I don’t think al-Qaeda is making a big contribution to help Taliban in their fight in Afghanistan. That’s a different ballgame Taliban are fighting. And I think they still are fighting with strength. JAY: Thanks for joining us, Rahimullah. And thank you for joining us on The Real News Network.